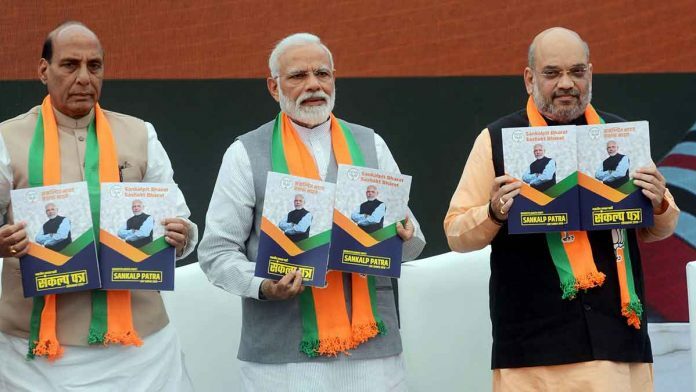 The BJP manifesto promises to spend Rs 100 lakh crore on infrastructure in the next five years. This can only happen if there is an increase in private participation, for which India needs to undertake financial sector reforms that encourage the creation of a pool of domestic long-term savings to be invested in infrastructure projects. A target of Rs 100 lakh crore means Rs 20 lakh crore per year. This means the private sector has to play a big role. If we look at project level details from the CMIE Capex database in 2018-19, the value of under-implemented infrastructure projects was Rs 61 lakh crore, of which Rs 45 lakh crore was public and Rs 16 lakh crore was private. 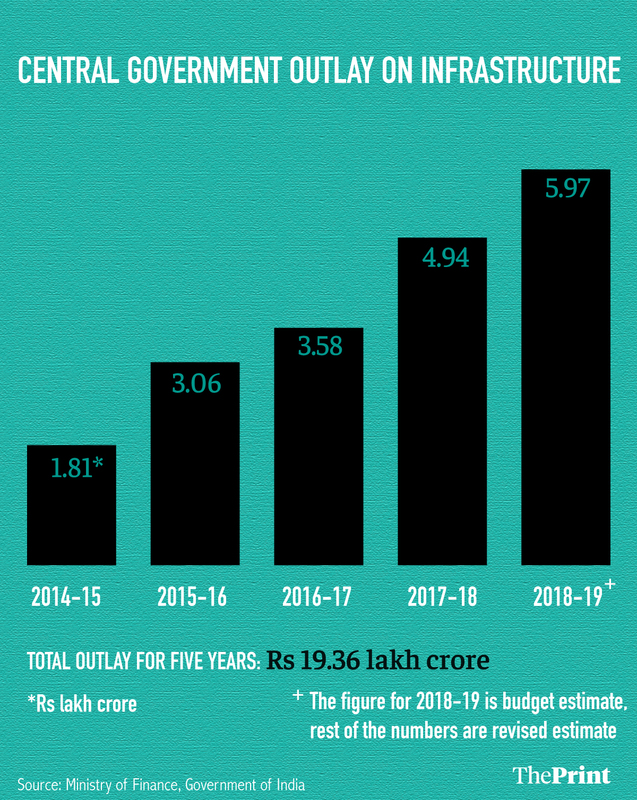 If the BJP is to fulfil its promise, given the limitations of raising taxes or fiscal deficits, the share of private investment in infrastructure has to increase significantly. The strategy of bank-led financing for infrastructure was tried in the early 2000s. During 2003-2008, bank credit grew at a phenomenal rate of 40 per cent. The bulk of the bank credit went to infrastructure and construction. The global financial crisis and the recession in the economy since 2012 made repayments of loans difficult. The period following this saw a spurt in non-performing assets. Looking ahead, bank funding of infrastructure projects should not be the main source of finance. Foreign capital could bridge some of the funding gap. India’s current account deficit widened to 1.9 per cent of GDP in 2017-2018 from 0.6 per cent of GDP in 2016-2017. Assuming a sustainable level of current account deficit at 3 per cent of GDP, an additional 1 per cent of capital can flow into infrastructure investment through a mix of FDI, portfolio investments and debt capital. However, this, at approximately Rs 1.5 lakh crore per year, constitutes a small proportion of the total infrastructure financing required. From the point of view of asset-liability mismatches, insurance and pension funds are best suited to invest in long-term infrastructure projects as these institutions have long-term liabilities. However, currently they are constrained by the restrictive regulatory framework. For example, the bulk of the investment by insurance funds has to be in AAA rated bonds, and regulations allow exposure up to 25 per cent of the net worth of companies. Since infrastructure companies are highly leveraged, their net worth is low, and this prevents insurance companies from investing large sums in infrastructure companies. The bond market in India is characterised by the absence of a well-developed and liquid government bond market. The development of a corporate bond market is conditional upon a well-developed and liquid government bond market, as a market-determined risk-free (government) yield curve is needed to serve as a benchmark for pricing corporate bonds. Bond market development in India requires the creation of a specialised and independent public debt management agency to manage government debt. Reforms in regulation and market infrastructure (exchange and depository) need to accompany the setting up of a Public Debt Management Agency to integrate the present fragmented corporate and government markets into one bond market. In addition to financial sector reforms, funding infrastructure through private sector participation needs reforms in the contracting mechanism. The implementation of public-private partnership in recent decades was mired in a number of challenges. PPPs suffered long delays in environmental and other clearances, land acquisition, and in getting coal linkages or rail connections. Sectors with multiple regulators like roads, ports and airports hinder the decision-making process due to an overlap in the functions of regulatory agencies. In the build-operate-transfer (BOT) framework, the private sector would build the project, operate it for a fixed number of years and then transfer it to the government. This was a flawed framework, as the risk of delays and clearances were borne by the private sector, which had the least ability to manage such risks. The risks of delays and clearances needed to be taken up by the government, as most of these risks had their origin in the government. A recent mode of private sector participation is the toll-operate-transfer (TOT) model. In this model, the government builds the project, operates it for some years and then leases the project to the private sector for the low-risk task of operating and maintaining. TOT addresses the risk-sharing weaknesses of the earlier BOT model. As an example, in the road sector, 30-year leases of existing toll roads are auctioned to private operators. The winner of the auction wins the right to collect tolls, maintains the roads and transfers them back to the government after 30 years. The funds from auctions can be used to build fresh infrastructure while improving efficiency in existing infrastructure. Ila Patnaik is an economist and a professor at the National Institute of Public Finance and Policy. And only Gadkari will be able to accomplish it.